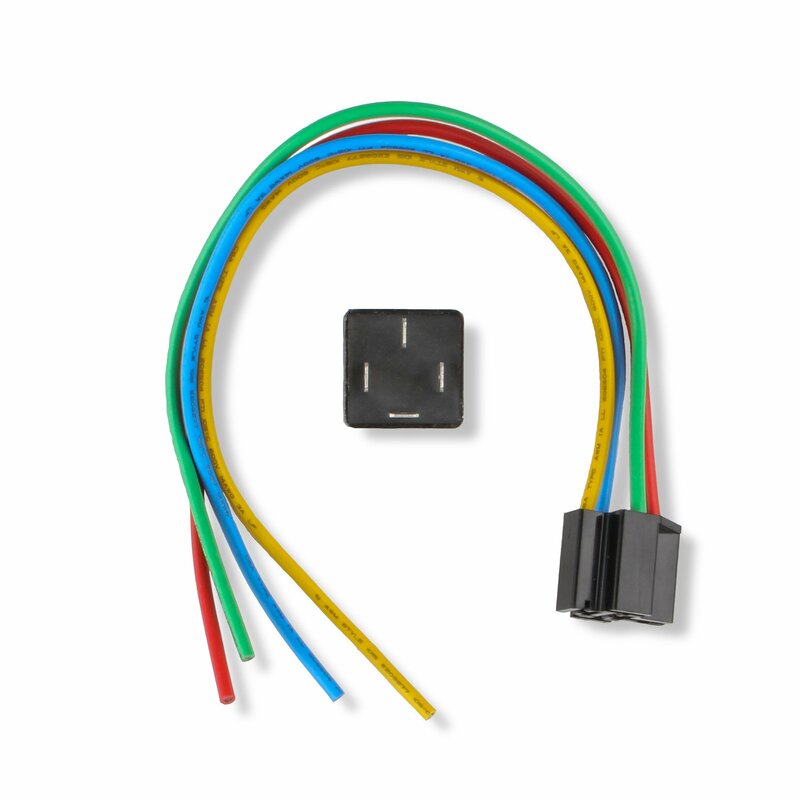 The SPST Normally Open Relay is rated at 20 amps continuous, supplied with Socket Harness. 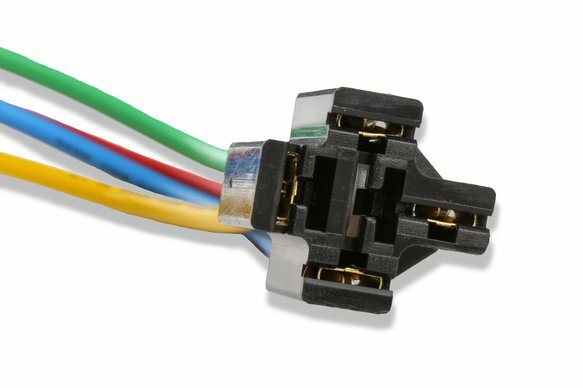 MSD's Solid-State Relay w/harness are ideal for use on electric fuel pumps, water pumps, and cooling fans. 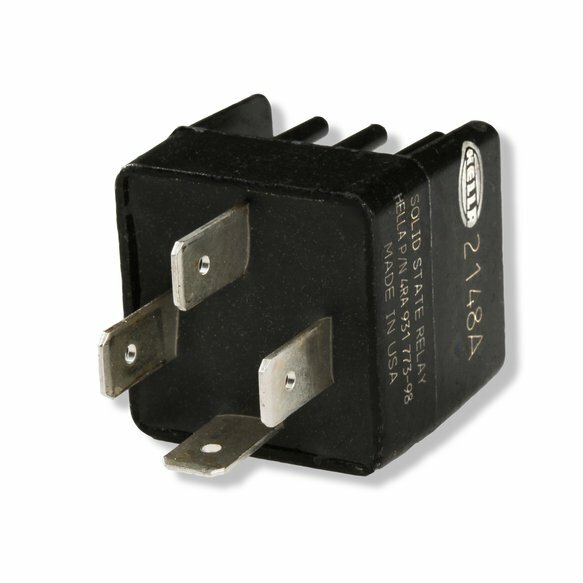 The high-power controlled circuit handles 30 amps momentary and 20 amps for continuous use @ 12VDC and is energized by the low-power activation circuit. The pigtail harness has 11" long leads w/ heavy-duty 14-gauge wire. 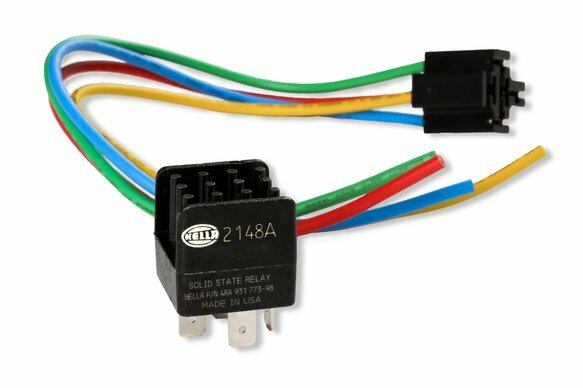 The benefit of a solid-state relay is that it has a faster activation circuit and no moving parts that wear, which increases the life of the relay. 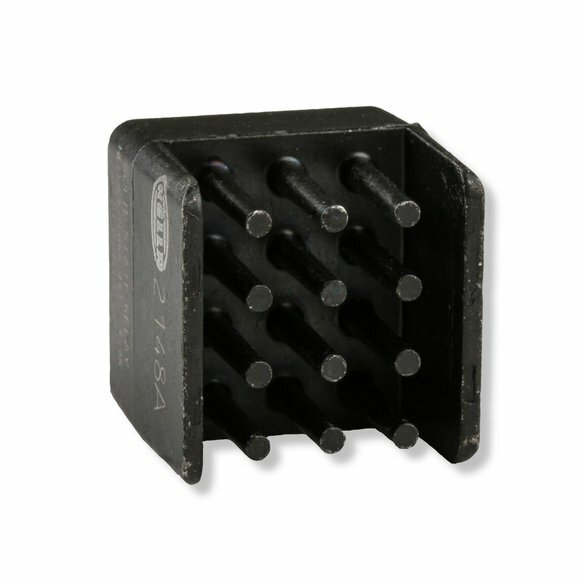 The absence of moving parts makes the solid-state relay less sensitive to mechanical shock, vibration and moisture.